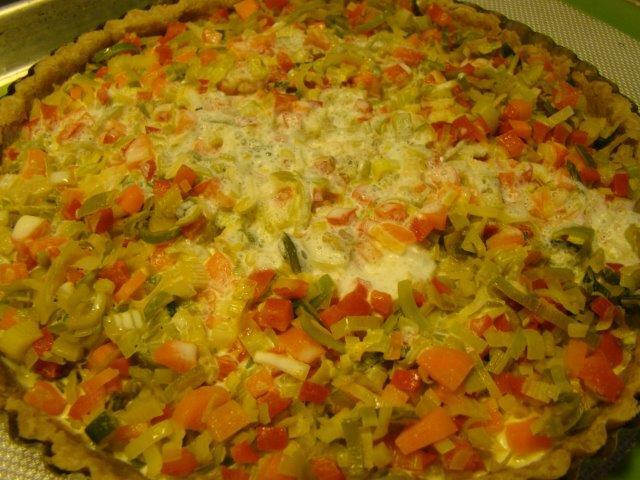 Posted on 11 April 2014, in French Fridays with Dorie and tagged French Fridays with Dorie, quiche, tart, Vegetables. Bookmark the permalink. 21 Comments. I also like the lower custard to filling ratio. Agree it was a beautiful dish with all those vegetables. It was so pretty, wasn’t it? Interesting you don’t like Dorie’s dough. I am a huge fan! yes, not a lot of custard here either but I think it worked by allowing the veggies to take center stage and make for a more colorful tart. It was so pretty I didn’t want to cover it up with much cheese so I kept that light too. I’ll have to check out those interesting crusts you link to. I had enough custard, Betsy, because the veggies were so substantial. I think your tart pan was bigger than my pie plate. I liked this a lot, a lot, a lot, and I don’t make quiche as much as you do. Since it keeps well and works for breakfast, lunch, dinner or snack, it’s something I should do more. What cheese did you use? I grated more cheese because I didn’t think the veggie combo would have enough flavor. I liked my crusty cheese but will probably cut it back to what was suggested the next time. Nice job and am glad you both liked it. I agree – this was good, and the high veges to custard ratio was a plus. The colors were so striking and festive! I didn’t even mind it for leftovers. Gorgeous dish Betsy! Love this! I did use an 8″ instead 9″ tart pan so my custard was still enough… Might use pastry flour instead of APF and mini pans the next time I make this! 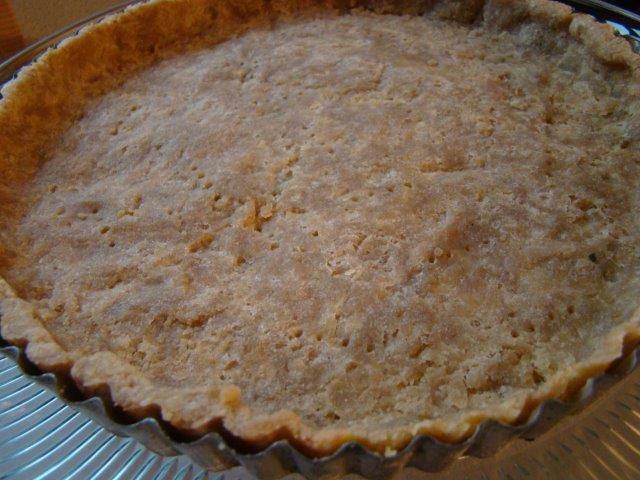 I struggled through several attempts with Dorie’s tart crust and finally gave it up as well. As a newbie, I find the one in Joy of Cooking to be much more user friendly. Once I’m feeling a bit more confident with it, I’ll have to give whole wheat crust a try. Betsy, how very colorful your quiche looks like – confetti quiche sounds like a fun name for this recipe. 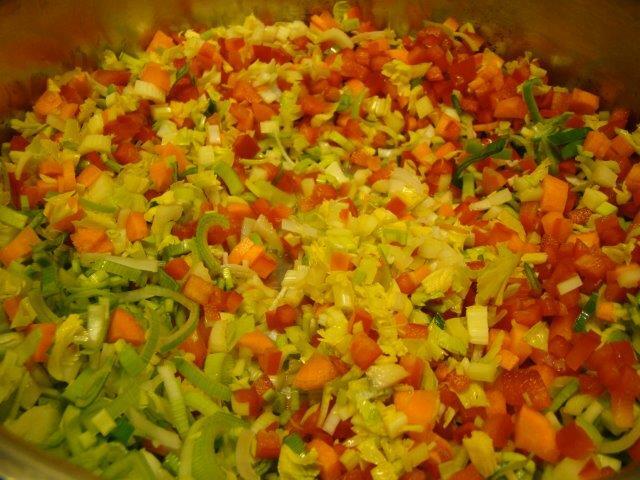 So nice that you enjoyed the combination of veg in this recipe – I opted for different ones, seasonal ones that we love. But this was a great base recipe with little custard and lots of healthy veg! Confetti is an apt description! And I thought the same thing about the amount of custard…I wonder if French tart pans are just a bit smaller? You are so right, Betsy…Confetti quiche is a great name for this lovely pie. The whole wheat crust sounds like a wonderful, healthy addition. I was a bit put off by the veggies in this quiche, too. And yet it was so delicious! Have a great week! Oh the whole wheat tart shell sounds amazing and you are so right quiche is the perfect and tastier way to use all the leftover veggies in the fridge! I did like the low custard ratio too – it allowed the ingredients to shine through. Not many fresh vegetables around here either :-) HOWEVER, it looks like my last bit of snow will melt away today AND my I am starting to see signs of budding in my mulch beds. YAY! Do you have the Ancient Grains cookbook? It’s one I’ve wanted for a while now, but I really don’t need any more cookbooks :-) I’d love to find a quiche crust that’s a bit healthier (I love quiche). I may give that recipe a try. I thought this one was surprisingly good! I’m glad you enjoyed it too Betsy! I have struggled with Dorie’s pate brisee but this time I nailed it and it was delicious! 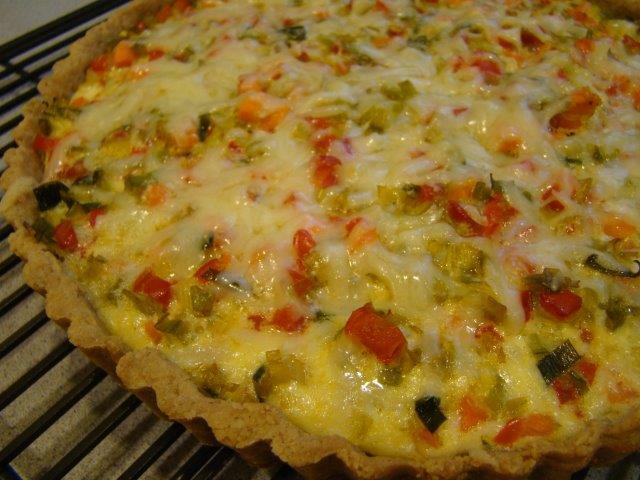 “Confetti Quiche” – perfect description! I made this last night and we enjoyed it a lot. Confetti quiche would be a great name. It was so full of color and so much flavor. Just enough custard. I concur with your name for this quiche – so colourful and surprisingly flavourful for something with so few ingredients.